One of the number one hesitancies for doing hCG injections specifically, is the idea of a needle, and your skin, coming into contact with each other. To most of us, it sounds NOT like a marriage made in heaven. This series will cover how to do an injection, start to finish, to take away some of that fear of the unknown- you’ll even get to see my DOING the injection on camera. Please remember I’m not a medical professional – the information I’m presenting to you is purely what I gathered from my own personal research and that I used when doing my own injections when I was on the hCG protocol. The information I gathered was from various diabetes information sites and videos online that help diabetics to know where to administer their insulin shots, and I believe the same principles apply for us. The main point is that you want to inject into an area of fat on your body, so this really allows for quite a number of locations. The only thing to really note here is to just stay two fingers width away from your belly button when doing an injection in this area. Pretty much the rest, from the bottom of your rib cage to the top of your hip bone is free game as an injection location. You can do the front of your belly, the side, whatever. The area we’re talking about is the upper back part of your arm. If you put a hand over your elbow and a hand over your shoulder, pretty much anyplace on the backside between your hands is a fine place to inject. In my research, I found that the front of the arm – the bicep area, isn’t really a good spot because there are more blood vessels in this area, something you want to avoid. To do an injection on the back of the arm by yourself, you’ll need the aid of either the edge of a table, or your knee – watch the video tutorial above to see demonstrate it so you can get a visual. You basically use the table edge or your knee to press down that part of your arm on and roll it forward a bit- this makes the flesh there a bit more taut, as if you were pinching it, so that you can stick your needle in properly. This is pretty self explanatory I think. Those little gobs of fat rolls we carry around on our sides. Welllll….if you can reach them that is. Or if you have your own personal injection assistant that will be following you around each morning (enlisting the hubs comes to mind). You might not actually get WAYYY back there, but I did make a bit of a reach on my final round and injected into the side/upper area of my buttocks. It’s just another option. My honest to goodness feedback is that when you’re starting and you have plenty of fat, the injections really are painless. At most you might feel a slight prick as the needle breaks the skin, but when it slides in you feel nothing. But most of the time where there is plenty of fat, I truly felt nothing. Based on what I read for those doing Insulin shots, it’s recommended that once you pick an area to inject in daily, be it your arm, your thigh, or you stomach, that you stick with this main general area. The reason is they found that insulin absorbs into the body at a different rate in different locations of the body. Of course, I know hCG isn’t the same as insulin, but I’m applying the principle here and figuring that to get the most consistent aborption of hCG on a daily basis, sticking to one area (as long as you are actually getting the right no hunger effect from what you’re doing) may be wise. I had no issues with injecting into my belly fat for 4 full rounds. About halfway through my 5th and final round however, I start finding the injection in that location to be quite painful. My two theories on this (and it could be both) are that, one, perhaps I had some scar tissue there after several rounds of injections in that same location, and/or two, most of my fat from this area was now gone and what was left was just excess skin, and injecting into thick layers of skin doesn’t feel as good as injecting into fat. Additionally, I was finding myself hungry. Now typically, when experiencing hunger, this can indicate that you need a dosage change, which you can read about how to change your hCG dosage here, and if you are getting on the lean side and almost done with your weight loss journey, you actually need to eat more than 500 calories as well – Robin Woodall mentions in her book Weight Loss Apocalypse that hCG has a harder time stimulating as much leptin in thinner people than more overweight people, making the diet more uncomfortable for thinner people. BUT the 3rd possible factor for hunger is your injection location. After I switched from injecting into my stomach to my thighs and back of my arm, my hunger totally went away again, on the same dose. This makes sense since we talked in Tip #3 about how hCG may be absorbing at a different rate in different areas. That would be hard to do so I would suggest you get additional bac water. Hi Rayzel and team. I’ve done a few rounds but about 1 year or more apart (could give more info but trying to keep this short-ish). I’m currently R4(?)VLCD15. I’ve had amazing success all other rounds, and gained some weight back after last year so I just want to get back to my last year’s ending weight. This round has been completely different for me in all the worst ways, so I’m trying to go back to doing exactly what I did last year when I had the most success. 1. I had no idea about the protocol until this round, and 2. I decided this is the time to address my dietary sensitivities due to Hashimoto’s. SO a LOT of changes this round, to say the least. My symptoms as of Day 11 are HORRIBLE and CONSTANT. Fatigue. Low mood. Dizzy. I’ve lost at least 14 lbs (143 to 129) and some inches in waist but not in my trouble areas (arms, thighs) when last year I seriously looked amazing and thin but so strong (I also work out a lot and weight lift). I’m also very hungry this round and have upped my calories to about 1000/day due to needing it for exercise. BUT, I am struggling because I’m too tired to even exercise like I did all my other rounds! Zero energy and so dizzy. I’m really struggling so I hope you have some advice. I’ve been also injecting Rx strength (from a physician) HCG via SubQ, when all other rounds I was injecting in my arm (Intramuscularly!). Do you think the injection mode is the difference? Or am I still detoxing from eliminating non-fruit carbs, gluten, sugar, and processed foods? Why am I not losing inches any more? Please please help. Thank you!! I have replied to your email. But I would also like to add that it is true that many ladies also found their rounds to be entirely different form each other. Even when it comes to specific foods. Some foods they can eat on round 2 suddenly makes them gain on round 3. I was suggesting maybe exercise doesn’t blend well with you for this round? Rayzel (she also has Hashimoto’s) had a very similar experience and she realized eliminating exercise helped her a lot, and many ladies experience the same too. If you read Dr. Simeon’s diet protocol he states that injections MUST be done intramuscular. I did lose 20 pounds 8 years ago and kept it off for 6 years. After gaining some back, tried the insulin needles. Didn’t lose the inches quickly or feel well. And, it’s very simple to inject yourself in the upper quadrant of your hip using a mirror. I’m just very frustrated trying to find the correct syringe paired with the correct 2″ needle. Anyone will lose calories on 600 a day but you will not maintain your muscle or reset your metabolism. Good luck! If your doctor/clinicial gave you needles to inject IM can I still use them to inject into my fat instead (even tho the needles may be longer than SunQ needles? Does it even matter the type of needle when it comes to injecting yourself? It has been a while since I did HCG but trying again. Hey Pat- hmmm, I know it can seem a bit tricky at first! Once you put the needle in it dulls it a little, so that may be why the 2nd time you attempted to put it in it may have not gone in as well. I’m not sure what to suggest- maybe just keep watching the tutorials and try again. Hi. When you are discussing the outer thigh injections, are they still subcutaneous or so they need to be administered intramuscularly? Rayzel did her entire hCG journey with Subq needles, and tested her body fat before and after and have maintained her weight loss for years. She did some research recently online regarding Subq and IM and from what she’s read in the recent research, subq is as effective and possibly more effective for absorbing it. She do plan to write a post on this in the future. You can google subcutaneous vs. IM for things like insulin I think to get more info on that. How long after injecting would you suggest to eat? I noticed today that I waited to eat at least 30 minutes after I injected, and I wasn’t hungry. Rather than eating right away after injecting and still struggling with my hunger. yeah usually since most don’t eat breakfast on hCG, they usually don’t eat actually until maybe 2-4 hours after their injection. 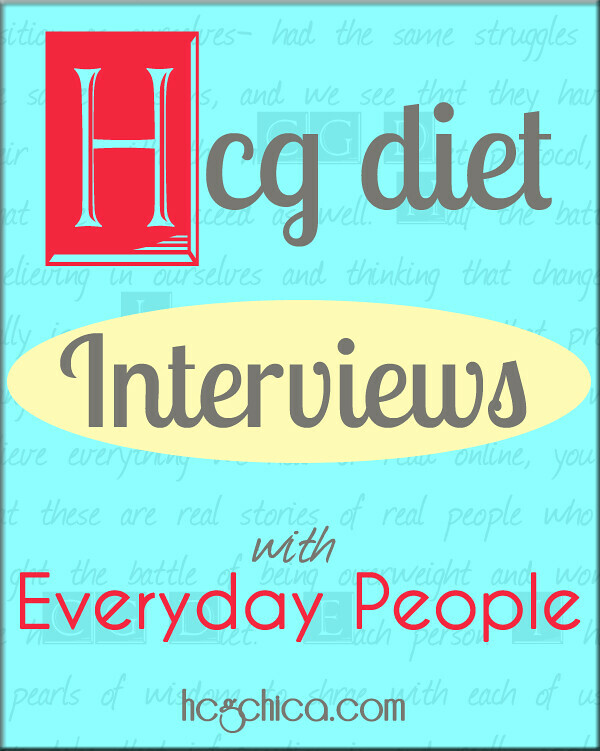 Are you deciding to do breakfast on hCG? That’s totally fine, but yes certainly if waiting works better for your hunger, do that! With all of my rounds I have injected into my outer and upper thigh area. I’ve never had any problems losing weight or with hunger in this location. And each day I rotate; ie day one will be on my Right day two on my Left, day three on my Right, etc. Sometimes I’ll grab some of myself in that area and lift it to inject and other days I just shove it in without doing that. Today, however, I was injecting particularly far into the back of my thigh. Too far back for me to comfortably be turning I guess because I ended up not going very deep and then getting a side cramp and almost jumping. I was able to slowly inject the HCG without the cramp getting to the point of ‘jumping’ pain. However (again) I am concerned that the needle was not deep enough info that back thigh and I can’t find ANY ingot on this. The area didn’t bubble up like I’ve heard can happen if you go to shallow into the skin. But it DID bruise immediately. Does anyone have any insight into my problem? Hi! 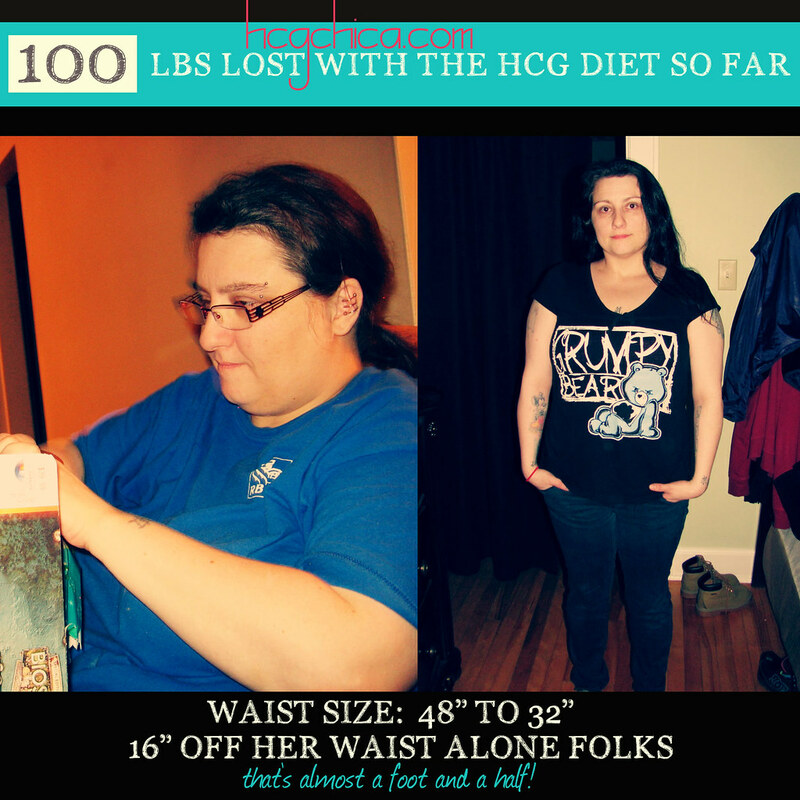 I just started my first round of HCG. I’m only on day 2 of 500cal and I’m starving. I’ve been injecting into my love handles because I’m afraid that after a previous tummy tuck, I might not have enough fat on my stomach. I’m pretty certain that I did well on the loading days, so, could I be hungry because of the injection location? Should I try my tummy? You are so sweet to poke yourself numerous times with that needle even thou you don’t have too- Watching this video is what made me commit to this. I ordered my supplies yesterday and mentally getting prepared today (drank my coffee black this morning, instead of with my hazelnut creamer). I cannot wait for my journey to begin!! In Pounds and Inches Dr. Simeons states that “The injection should if possible not be given into the superficial fat layers, which in very obese patients must be compressed so as to enable the needle to reach the muscle.” They actually use very fine needles that are two inches long and inject deep intragluteally in the outer upper quadrant of the buttock. Is there a reason for the difference in injection sites between then and now? Hi @glasgirl65:disqus yes recent research has shown injection into fat layers to be just as effective as IM. You can google this and check into it as I did. To me the fact that the same no hunger effect is achieved and the high percentage of fat lost with muscle sparing that I have proof of through my hydrostatic body fat testing is proof the Sub Q works great. Hope that helps. One thing I found that helped with injecting is to warm up the fluid for a few minutes with your hands first. I take mine out of the fridge for about 3 minutes first and hold it in my hands (I don’t shake it or anything). Then it doesn’t hurt or leave a bruise or anything. And I’m one person who hates needles and can’t look when they give me shots or take blood. I also pinch a good bit of skin to put the needle into. It helps as well. 🙂 Every little bit helps.